"Will Turkey change course toward Russia and Iran?" ISTANBUL - A deal signed by Turkish and Iranian ministers Sunday to enhance efforts to break Saudi Arabian trade sanctions against Qatar, is only the latest move by Ankara against Riyadh. The two once close allies are increasingly finding themselves on opposing sides in the region. "There is this fear [by Turkey] an axis is developing between Saudi Arabia, [the United States], and Israel in the region definitely," said Haldun Solmazturk, head of 21st Century Turkey Institute, an Ankara based research organization. Saudi Arabia's increasingly tough stance against Iran has been matched by Turkey's increasing cooperation with Iran. 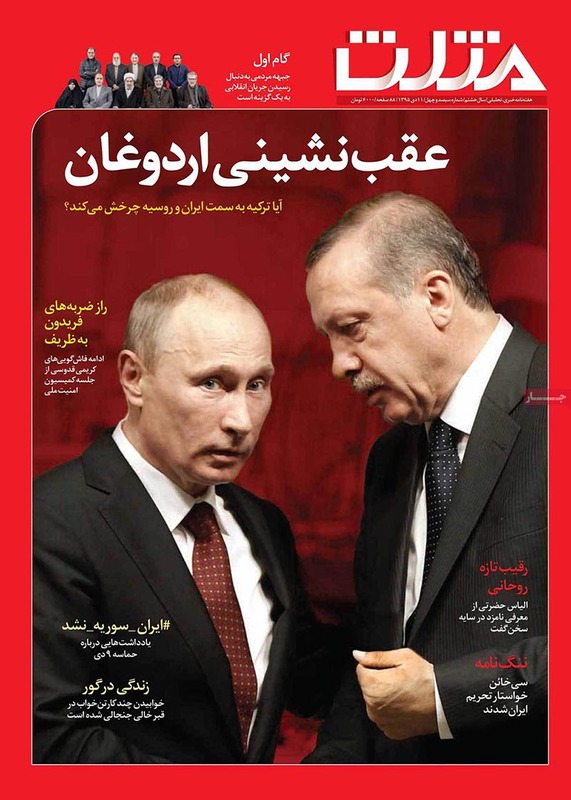 Earlier this month, Turkish President Recep Tayyip Erdogan declared the frequency of meetings with his Russian and Iranian counterparts to cooperate over Syria would increase. Turkey's gravitation towards Iran is in part a reaction to Saudi Arabia's more assertive foreign policy under Crown Prince Mohammad bin Salman. "Prince Salman has more aspiration in the region, even to cooperate with Israel and Egypt," notes international relations professor Huseyin Bagci of Ankara's Middle Eastern Technical University, "This alliance supported by America is automatically against Turkish policy in the Middle East, Turkey is excluded, Turkey is isolated in the Middle East." The Saudi's assertive new policy is a personal blow to the Turkish president. Erdogan's roots are in political Islam and he has devoted much of his 15 years in power to deepening relations with Riyadh, "President Erdogan was the most closest one [Turkish leader] to Saudi Arabia's ideology, this is why he is considered an Islamist prime minister and president and now with Saudi Arabia's growing influence in the region we see how disappointed Erdogan is, he bet on the wrong horse," Bagci claims. Bagci an international relations professor who has informally advised Erdogan on foreign affairs, says the Turkish president's disappointment is exacerbated by the unprecedented lengths he went to court the Saudis. "When the King of Saudi Arabia visited Turkey, Erdogan and the then Turkish President Abdullah Gul, visited the king [at his hotel] and this was one the mistakes of foreign policy and this one [of the] biggest concessions ever to Saudi Arabia," Bagci says. Erdogan was strongly condemned by opposition parties for ignoring traditional diplomatic protocol where by a visiting head of state goes to the country's leader's residence. The start of the unraveling in Saudi Turkish relations, analysts claim, can be traced back to the ousting of Egyptian President Mohammed Morsi. "It goes back to the coup in Egypt," says political columnist Semih Idiz of Al Monitor website, "Islamists in Turkey discovering the land of Wahhabism fundamentalism is behind a secular coup in Egypt and they can't make sense of it and had to attack it." Erdogan, a close ally of Morsi, was in the forefront of condemning the coup. He continues to uses the four finger sign of Rabbia, used by Morsi supporters as a gesture of solitary. Ankara not only blamed Riyadh for the coup, but also what was perceived as the tacit support of Washington. According to Idiz, the suspicion the two countries are increasingly seeking to shape the region, was exacerbated by the Crown Prince Salman declaration of seeking to adopt a "moderate Islamic" approach to his country and the region. "In Turkey the notion of moderate islam is a trip wire [alarm sign] ever since former Secretary of State Colin Powell referred to Turkey as a moderate Islamic republic. This idea of moderate Islam as an American inspired project to control the region has very much taken hold in Ankara," notes Idiz. "Islam cannot be either 'moderate' or 'not moderate.' Islam can only be one thing," Erdogan said earlier this month. "Recently the concept of 'moderate Islam' has received attention. But the patent of this concept originated in the West," he added. But the price for Ankara's falling out with Riyadh is likely not to be cheap. Turkey was richly rewarded for a decade of unprecedented close ties with the kingdom, with it becoming a major investor in the Turkish economy. The latest official figures placed Saudis as first among foreign buyers of Turkish residences. Saudi Arabia was seen by Erdogan as a key player in his efforts dilute the economic dependence on European investment. Analysts warn such plans will need to be reassessed, "Substantial foreign direct investment from Saudi Arabia is not going to happen, it's an illusion," warns political consultant Atilla Yesilada, of the New York based Global Source Partners.